From then on go to the website of Ruutu or use their app if supported. Please see supported devices between Ruutu and Unlocator at the bottom of this page. 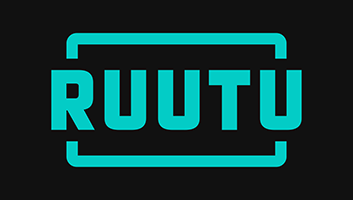 Ruutu is a Finnish online streaming service that offers movies, series, reality shows, and the best live sports in Finland. You can find the likes of The Voice Finland, Holmes NYC, NBA, This is Us, and way more provided you live in Finland. Travelers and Finnish expats, however, have no access to the channel due to geo-restrictions. To bypass geo-blocks, viewers outside of the country must make use of Unlocator. This means that the video you’re trying to view is not accessible in the region you’re located in at the moment. If you want to circumvent this issue, then you have to use Unlocator Smart DNS. Unlocator Smart DNS can help mask your real location and appear elsewhere. It does that by redirecting the part in your URL that helps determine your current whereabouts. Once you do that, you will give the channel the impression that you’re within its area of coverage. As a result, you will have full access to Ruutu’s streaming library despite being outside of Finland. When you operate with Unlocator, neither your IP address nor your connection speed will be affected. Thus, you can still work with your local channels as well as Ruutu without losing access to any of them. Sign up with Unlocator for free and follow the setup guides provided below based on the device you’re streaming on. While installing Unlocator, you’re in no need of any additional software for it to work. One quick remark. Unlocator bypasses geo-restrictions and grants you access to streaming channels while abroad. You’ll still need a valid Ruutu subscription to tap into its streamable content. Now, if you need any help with the setup, you can always reach out to Unlocator’s support team.